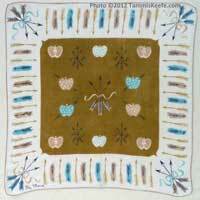 Some high-end retailers, such as Lord & Taylor and Bloomingdale's, had exclusive rights to sell certain signed Tammis Keefe designs. 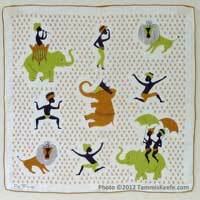 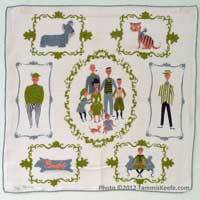 Therefore, hankies sold to another department store, such as Gimbel's (a now-defunct rival of Macy's) could not carry the Tammis Keefe imprint. 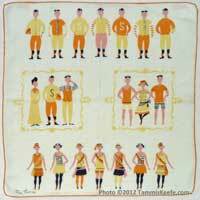 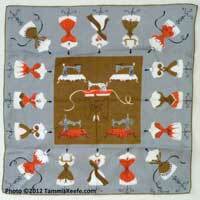 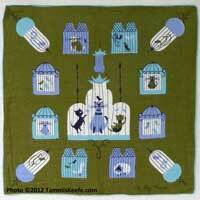 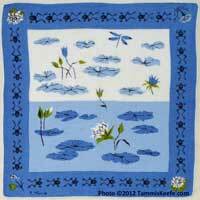 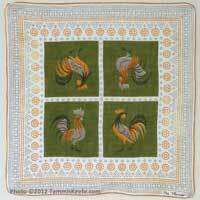 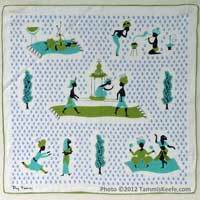 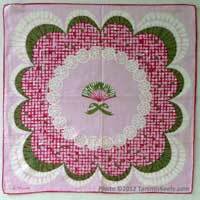 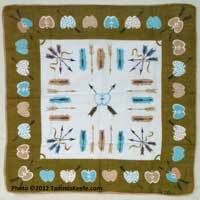 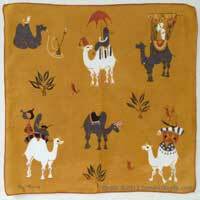 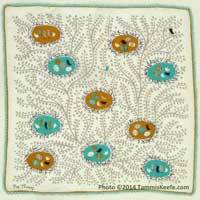 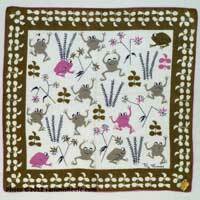 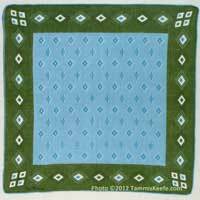 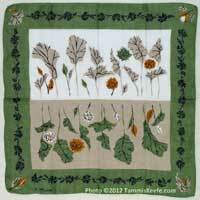 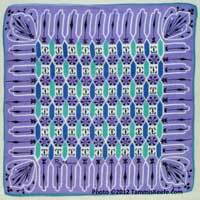 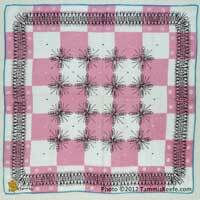 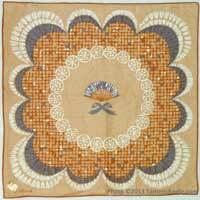 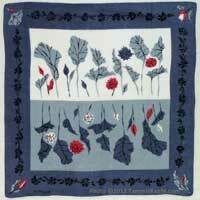 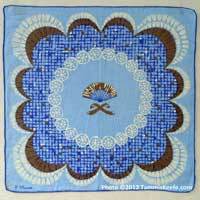 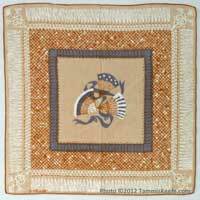 These designs were signed Peg Thomas, a nom de hankie derived from her given name, Margaret Thomas Keefe.